At least the malls are still in their normal operations despite the heavy ashfall. 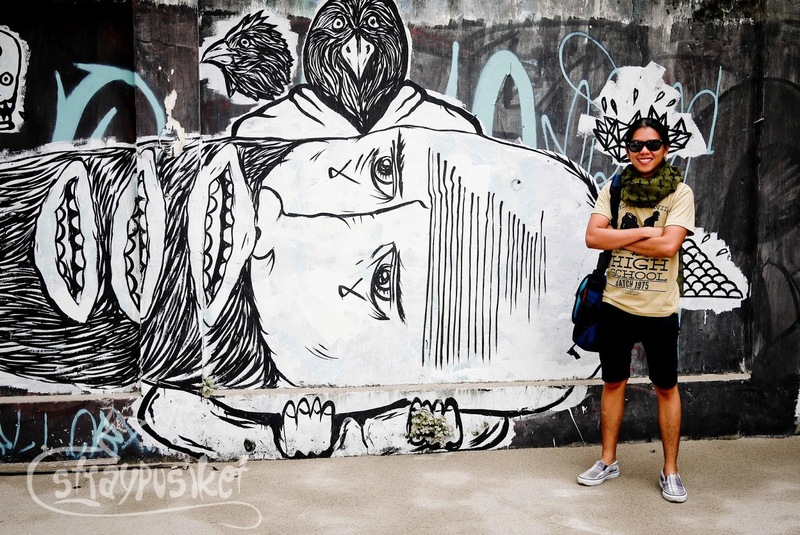 The morning we were roaming around Malioboro, Wisnu was able to get in touch with the organizers of the Ramayana Ballet and they confirmed to him that they will still be playing that day. So right there and then, we made a new plan to just go to the mall in the afternoon then watch the Ramayana performance at 8pm. After touring the batik factory, we found a lady outside selling bags for a cheap price. The masters of haggling that we were, we were able to convince her to lower down her price by about 30%. The prints are pretty, perfect for pasalubong. 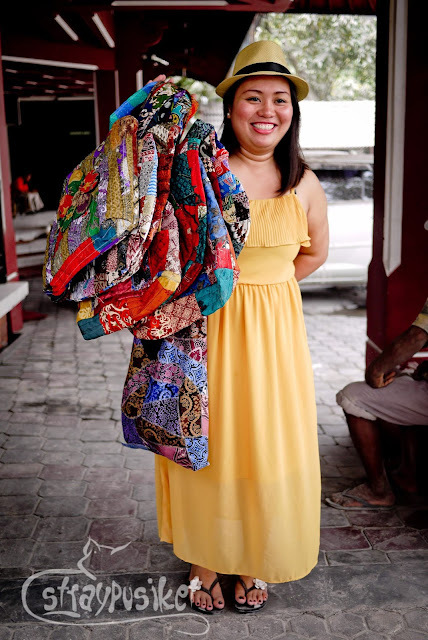 No, she's not the bag vendor. And while we were busy hoarding buying some bags, Dell was enjoying the wall murals. We skipped lunch and just slept in our hotel room until afternoon. By 3pm, we met Wisnu at the hotel lobby and drove to Carrefour. 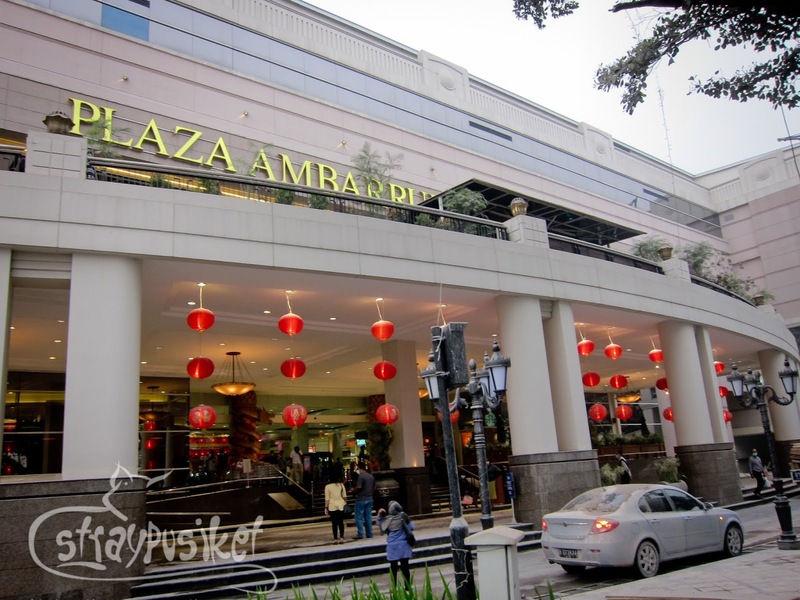 Carrefour is located at Plaza Ambarrukmo, the largest shopping mall in Yogyakarta. It is jam-packed with people since it was declared holiday that day. There was an ongoing sale that time so we got to buy some pairs of shoes.Then we headed to Carrefour to do some grocery shopping. Back when I was not so concerned with my sodium intake, I was immediately sold with the IndoMie Taste of Asia noodles. They've got Beef Bulgogi, Tom Yum and Laksa flavor. I bought two of each. Don't they look yummy to you? My fave one is the Bulgogi. We went back to the parking lot to put the grocery bags in the car and asked Wisnu to join us for dinner. 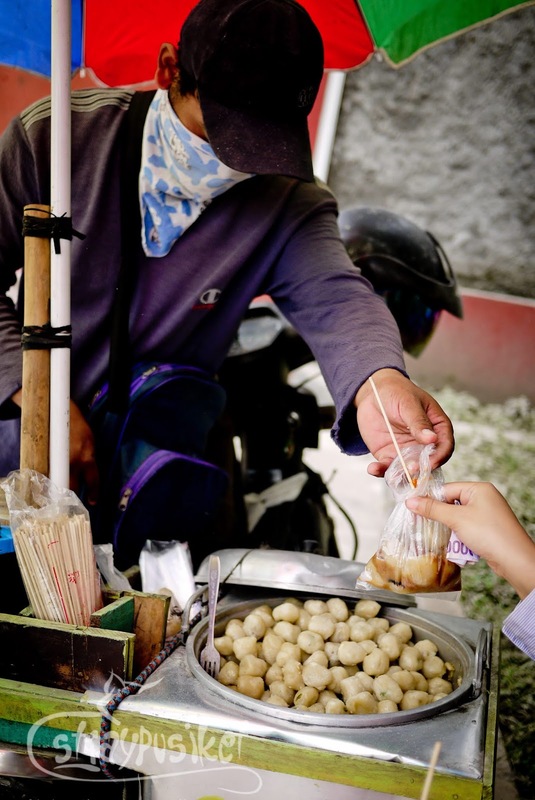 We wanted to try Bakso/Baso - an Indonesian meatball usually served with soup or vermicelli soup, so he suggested that we eat at Bakso. Makes sense? There's actually a Mister Baso restaurant nearby but he said the food at Bakso tastes better. After dinner, we drove to Purawisata for the Ramayana ballet. Wisnu already pre-booked the tickets for us so we didn't worry about not getting seats. We arrived 30 minutes earlier so we stayed at the gazebo and ordered some beer and snacks. 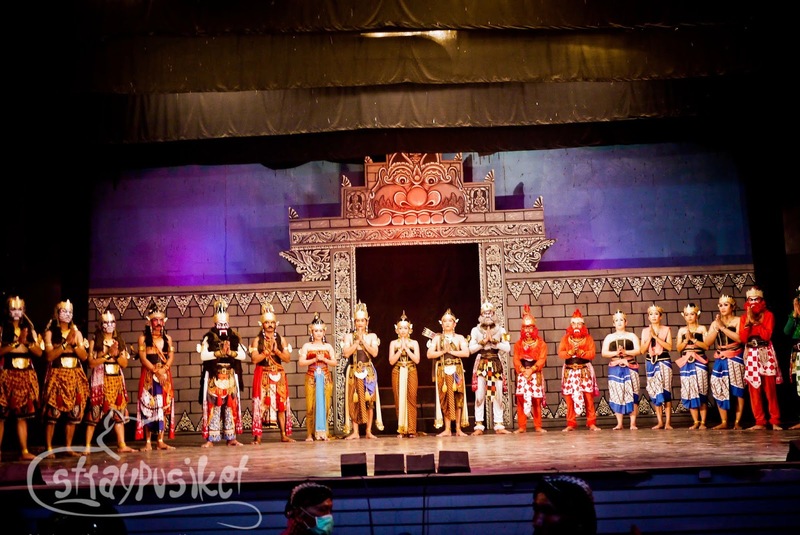 The tickets for the Ramayana Ballet costs IDR 250,000. They also offer show+dinner packages but we just availed of the show only. A few minutes before show time, people start pouring in. Apart from us, there were very very few tourists. The rest of the audience were high school students who were probably there for an educational tour. Compared to the cultural dance performance we watched in Siem Reap, this one was pretty boring. Maybe because I do not know the whole story of Ramayana? Or because of the lighting? Or the monotonous music? Or I was just enjoying my dinner buffet when we were in Siem Reap? I don't know. But in all fairness to the actors/dancers, they performed really well and they got really nice costumes.